Are you recovered from Christmas yet? We’re getting there, but it still looks like a stuff bomb has detonated in my house. I can’t stand that cluttered feeling, but I’m willing to let the house slide just a bit for another day or so. Today I thought I’d share a few pics from our family Christmas. This is one of my favorite shots from the day. I purchased a number of books as gifts for my kids, one called The Art of the Catapault and the other is Backyard Ballistics. As you can imagine, all of the boys (including the Big One–aka my husband) have been feverishly studying these. Lord help me is all I can say. After we opened our gifts Christmas morning, my oldest son announced that he had a surprise for everyone. He opened up his trumpet case and serenaded us with a few Christmas songs. I love this picture as well because of the expression on Heidi’s face. My daughter has been begging for her own sewing machine for the last two years. I researched kids sewing machines and came across some pretty bad reviews of each kids model. I decided to teach her on my own machine and just get a good kids instructional book to go along with lessons. She is very into it! Like mother, like daughter. One of our only group shots, this one taken at my husband’s grandmother’s house. Unfortunately I didn’t think to get one of all 7 of us! As you can see, my kids are cracking up about something. Apparently as I was taking the picture my dearest was behind me making faces. It worked! Speaking of my other half, here we are having a little snuggle. There’s not many pictures of just the two of us either! This is just a random shot from my in-laws, post-lunch. Everyone is mingling and the kids are checking out a few of the gifts they’ve opened. After a short rest time at home, we scurried down the road to my brother’s place for a Christmas dinner with my side of the family. The BIG gift for my kiddos (and us I guess) was a 32″ new TV. My parents had offered to get us a new one as we’ve had a small 19″ one for years. After being dropped way too many times, the remote no longer works and now neither do the buttons on the TV. I try to up the volume manually and the power turns off, or try to change the channel and something else happens. Yup, it was time for a new one. This is one of my nieces holding her new guinea pig. She and her sister each received one for a pet, along with a cage and other necessities. My kids loved going down to their basement to hold and play with them. I thought this was a sweet picture of Mikayla. *Getting snow on Christmas Eve and waking up to a white Christmas. It was beautiful. *Having a special breakfast with just our crew. My husband had a couple of kids help him cook some special waffles with our own honey butter sauce. It was delish! *Seeing all of our immediate family on Christmas Day. Sure, it made things a little more hectic, but it was nice anyhow. *Knowing that I did not go overboard on gifts and didn’t spend a whole lot. In fact, I was mighty proud of the fact that I found some great used items for my kids (even still in the box) at Goodwill and other thrift stores. I also made some gifts as well. *The fact that my kids truly appreciated and were grateful for what they received. Honestly, they didn’t even ask for much. One of my little guys kept hugging me over and over because I got him a $5 remote control car. Even just opening their stockings and finding $1 items made them very excited. To my husband and I, that was very refreshing. I hope you all had a wonderful Christmas. I’m really looking forward to 2013!! If you are just getting around to wrapping up your gifts in these remaining days before Christmas, here are a handful of clever ideas I’ve scoped out for you. No, they don’t all use brown paper or string, but each one is adorable. I already have my gifts all wrapped or else I would be totally copying some of these. From realsimple.com, use up your old newspaper pages or even old maps. My boys would love getting a gift wrapped up in the funnies! Also from realsimple.com, use paint chip swatches as a cute gift tag. The Thompson Family has another creative gift wrap idea–use bulletin board borders to dress up your package. One Charming Party has a super cute way to personalize a package using ribbons and a monogram. I think this is absolutely adorable. 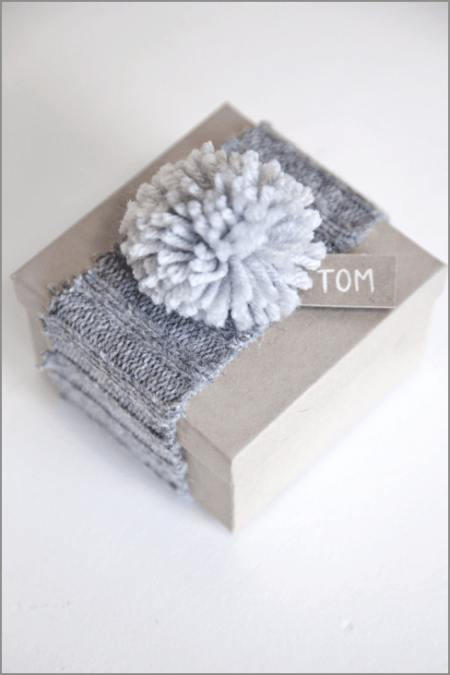 Boxwood Clippings has several cute ideas to use up an old or thrifted sweater for packaging. Nest Full of Eggs has this idea for a brown paper package. Stamp a paper doily and tie up with colored string, twine, or yarn. So simple, yet so pretty. From bhg.com, this is one that maybe the kiddos can help make. A cute gift tag made with some basic crafting supplies. Makes a great stocking stuffer or fun, frugal gift for a boy or girl. 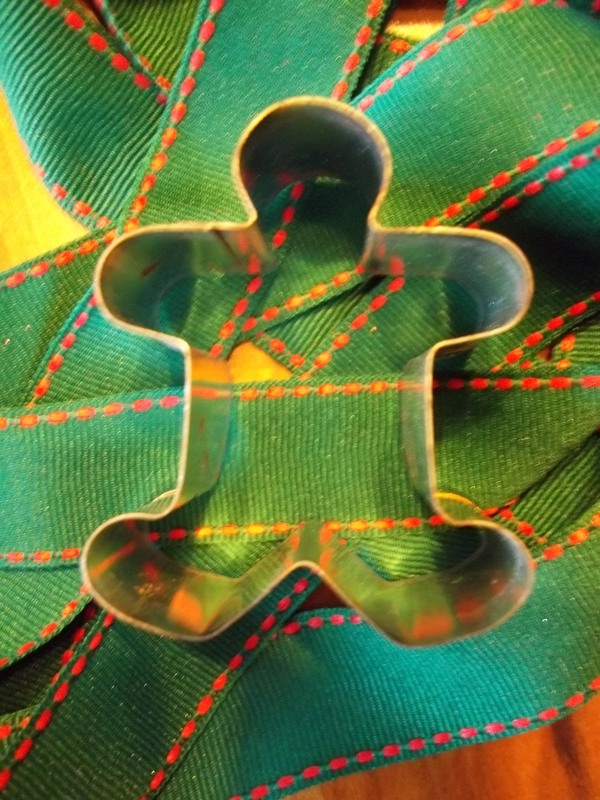 Let ’em roll it out and use cookie cutters to make pretend gingerbread cookies or other goodies. The recipe I used was from sweetsugarbelle.com. It was pretty quick and easy to make. Even though I only made one batch, I’m sure it would be no problem to double if making a bunch at a time. Whisk dry ingredients together in a medium saucepan. Mix in wet ingredients, turn heat on medium, and stir continuously until it reaches a thick consistency. Turn out onto parchment paper and knead by hand. 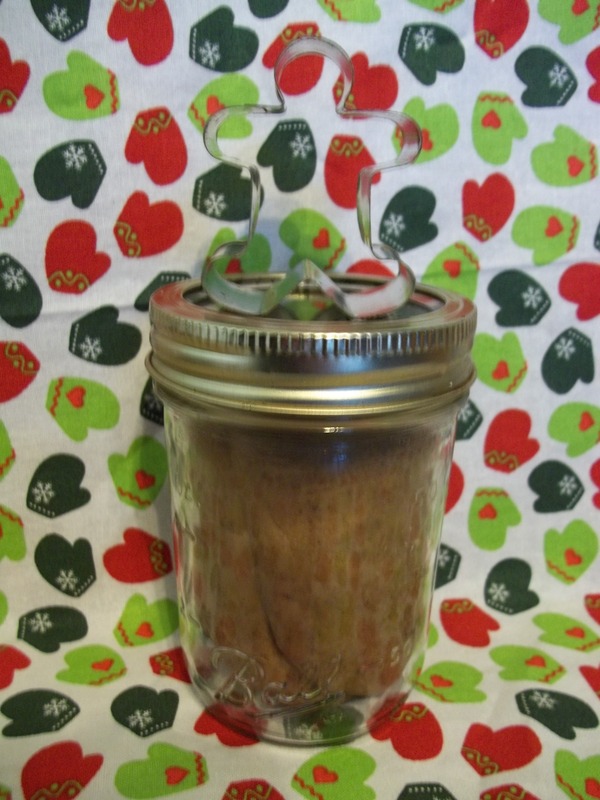 Allow to cool completely and place in an airtight container or ziploc bag. Tis the season for baking cookies! In fact, just this past Saturday my Mom, sister-in-law, and I baked bunches of Christmas cookies. The day after that we had a baked goods auction at our church to benefit the youth group. 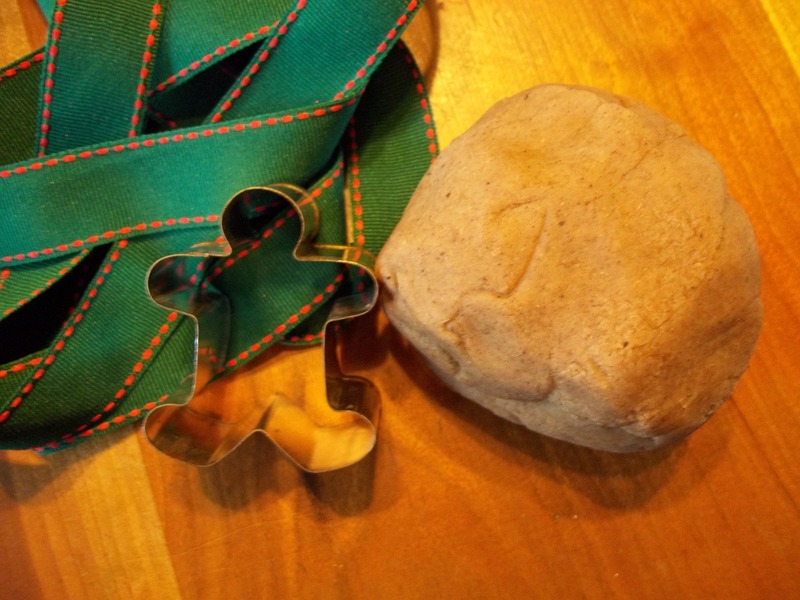 In addition to that there are other various cookie exchanges, parties, and school events that lots of people need to bake cookies for in the next couple of weeks. With this in mind, I rounded up a bunch of cookie-baking tips that I had in mind and that I have found out through different venues. *Read your recipe carefully beforehand. Yes, I know this is a no-brainer, but I have started in on recipes with gusto before realizing that I had to chill the dough for an hour or do something else that I hadn’t originally planned on. If you’ve had any baking experience, I’m sure you’ve also had those “whoops” moments. *Make sure you have ALL the ingredients before starting. This is like the above tip. Be prepared ahead of time. This way you don’t have to make trips to the store at the 11th hour buying random ingredients. *Preheat your oven adequately before baking. *Don’t add too much flour. Your cookies won’t come out with as nice of a texture, so go easy with the flour. When scooping it out, make sure not to pack it in the measuring cup! *Add eggs one at a time. I used to think that it didn’t really matter, but apparently it helps with the emulsification process if you really do follow this step. *Salted vs. Unsalted Butter?? Has this ever confused anyone else besides me? From my research, you can use either for baking. However, if you use salted, don’t skimp on still adding salt to the recipe. Aim for half of what it calls for. *Use parchment paper. It works wonders–you don’t have to grease anything and it really helps with clean up. *Don’t overbake!! This is probably one of my favorite tips. We like our cookies to be chewy, not crunchy, so I pull mine out of the oven before they are really browned at all. Works like a charm! *Let cookies rest on baking sheet 2-3 minutes before transferring to a cooling rack. They are less likely to break apart that way. *Allow baking sheets to cool before placing more dough on to bake. If they are still hot and you add dough, they spread out too much. *Let cookies cool before decorating. *To help keep cookies soft, add a 1/2 slice of bread to your storage container. This tip comes from my better half and it works great! Greetings! I have another handmade Christmas idea for you. This one’s for all the really practical people in your life. Who doesn’t use laundry detergent though, right? Now, I’ve done a couple of laundry detergent recipes on here before. As you can see, this is a powdered version. I tweaked this one a little from my previous powdered recipe, this time using a bar of Zote Soap instead of Fels Naptha. The Zote soap comes in a mega-sized pink bar. Besides being a pretty pink color, it smells nice and fresh too. Here’s the recipe–it can be easily doubled, tripled, etc. if you are making a bunch of this. Mix well and store in an airtight container. Use 1 TB for a light load and 2 TB for a heavy one. 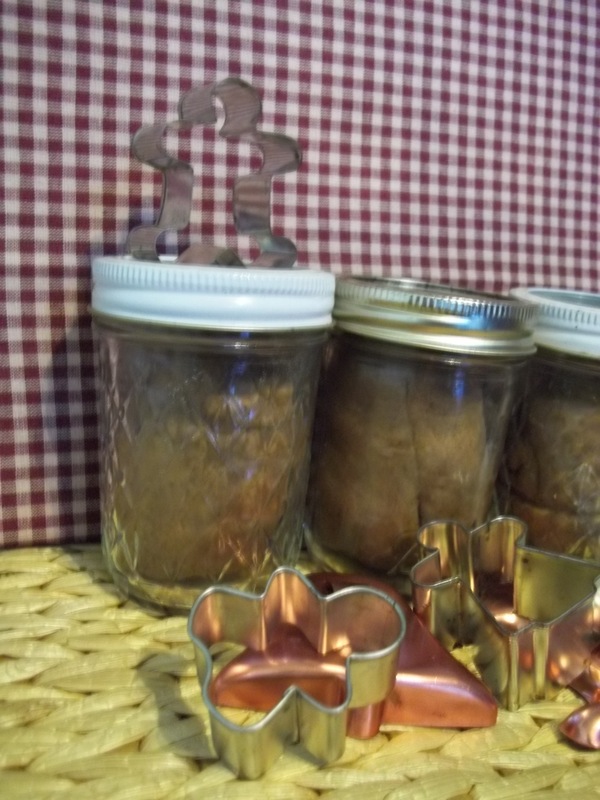 Place in a mason jar or other gift-able container, add a nice tag, and you have a great little gift!